Drug prices in the United States are too high, and sharply rising prescription drug prices threaten the affordability of health care and the vitality of our entire economy. The current system is unsustainable — not only for American families but also for our businesses, economy, and state and federal governments. 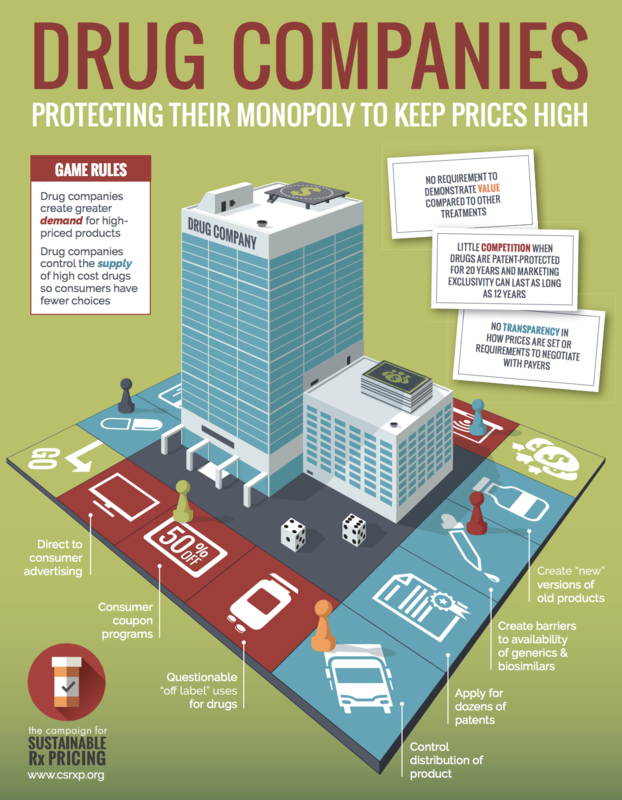 Our new board game illustrates how pharmaceutical companies have a monopoly on the current pricing system and the different ways they keep prices high.